Who needs wireless N, anyway? The interesting part about wireless technology is that it represents one of the few situations where technology has overtaken the hardware available. Home networks are coming under constant demands, having to deal with media streaming, home servers, high definition... and thick walls. With no ratification of wireless N in sight it appears that powerline networking - the art of using your home electrical ring to carry your Internet - is the key. Solwise has now come to the fore with its 200Mbps powerline product, which is designed to get all those high-definition videos, files for backing up and your consoles games zipping around your home like never before. Note that for Solwise to eek 200Mbps out of the HomePlugs, it would have had to connect devices using 1cm of high-quality copper. You'll never achieve this in your home. We managed to achieve 100Mbps in normal conditions, which is ample for most requirements. Setting up the Solwise units was simplicity itself. Just plug them in, connect the included ethernet cables to your router and PC respectively, and hit the connection button so the two devices can find each other. Solwise has got one more trump card to play. It's looked at how people use powerline sockets and designed them to be the same width as a normal plug. Big deal, you may sneer, but this is a refreshing development. 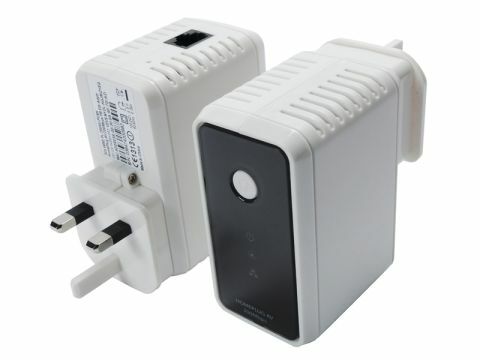 Most other powerline kits are the size of a breeze-block, which makes connecting them to plug sockets either on the wall or in an extension all but impossible. The slim design can save you a real headache and makes the competitive price worth it. At £50 each, the Solwise HomePlugs aren't as cheap as the gargantuan D-link Powerline HD at £88 for two, but outstrip the Netgear sockets at £65 each.